You can stretch your food budget a little bit farther if you take steps to prevent food waste in your kitchen. You are probably throwing away food, or parts of food, that are entirely edible. Keep an open mind, and you will look at food differently than you have before. 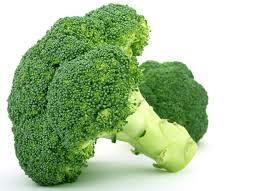 Many people enjoy eating broccoli florets. Did you know that broccoli stems are edible, too? Some restaurants have started using broccoli stems in their recipes. Peel off the tough exterior of the broccoli stem and use the rest. You can use cut broccoli stems in a broccoli and cheese soup. Parents can cook the broccoli stems, and mash them, to make baby food. Cut the broccoli stems into small pieces and use them in a chicken and broccoli stir fry. In short, any recipe that calls for broccoli florets can make use of stems instead. Bread is a favorite food for many people. Those who love bread often throw away bread that has become stale. This is a waste of good bread! Stale bread can be used in a number of tasty ways. Cut stale bread into cubes and turn it into croutons for a salad. Grind it into bread crumbs and use those crumbs to coat chicken before you fry it. Dip the stale bread into an egg and make french toast for breakfast. During the holidays, stale bread can easily be made into stuffing. Bread pudding is a nice dessert that can be served any time of the year. Bananas that have over-ripened, and are a little mushy, are safe to eat. Cut one up and put it in a breakfast smoothie. Browning bananas are the key ingredient in banana bread and banana muffins. You can also use over-ripened bananas to make banana pudding, or add bananas to a bread pudding recipe.